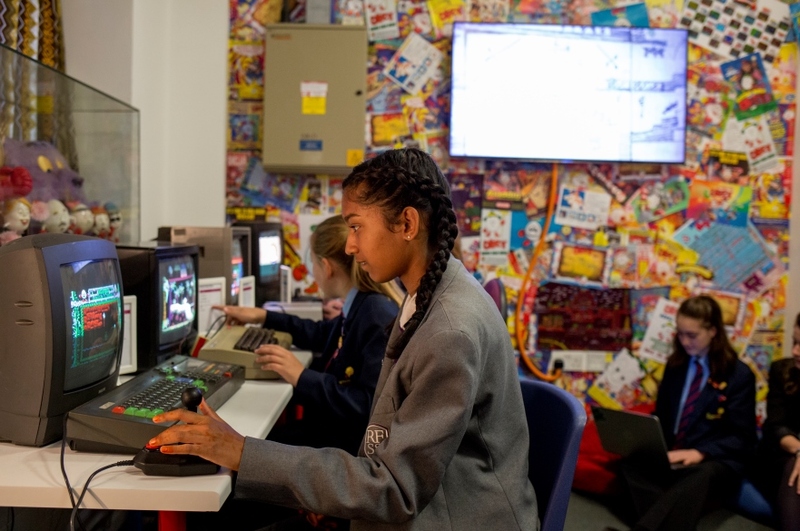 Girls aged 11 to 13 from schools across the East Midlands got to find out more about computing and hear from inspirational women working in the field. The computing event was held at the National Video Arcade and was organised by Nottingham Trent University. The Regional Centre for Computing at School, based at the University, is working to encourage young people to understand the opportunities and benefits of computing. As part of that, it is focusing on girls, as women are often underrepresented in computing occupations. At the event pupils from 9 schools in the area, and their teachers, listened as women working in computing explained what excites them about their careers. They also got the chance to take part in a competition and various activities, including a treasure hunt and encryption competition around the galleries in the National Video Arcade. Dr Helen Boulton, who leads the Computing at School project in the East Midlands and works at NTU’s Institute of Education, said the day had proved a huge success with the girls and their teachers. As part of the Computing at School project Nottingham Trent University is providing support to all primary and secondary schools across the East Midlands. The University is offering a free consultancy service and free CPD for computing teachers. Computing teachers who would like more information can contact via email or go to their website for information on events.